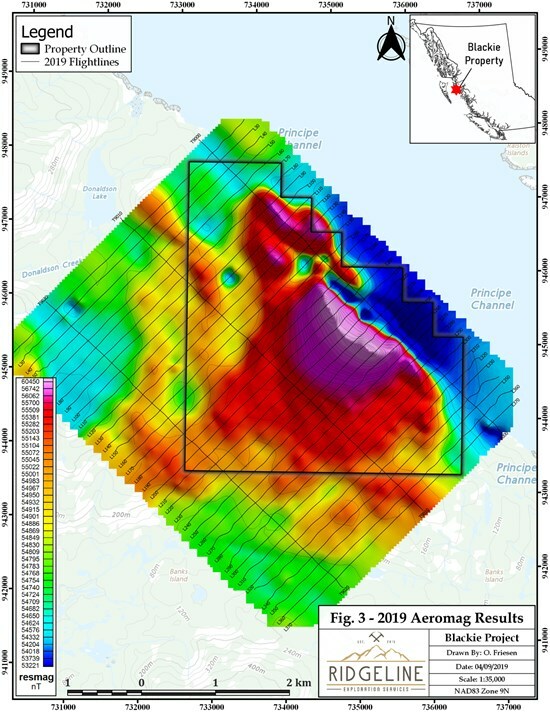 Based on results from the surveys the Company is pleased to announce that it has increased to size of the Porcher property from 3,122.16 to 3,525.46-hectares, and the Star property from 3,646.8 to 4,618.3-hectares to fully encompass the newly discovered magnetic anomalies. The results from the surveys will be used in helping Delrey's technical team plan a Phase II work program which will include prospecting, mapping and rock sampling over the geophysical anomalies. "The Delrey team is quite excited by the results of the Phase I work program on the Blackie, Porcher and Star properties. High-resolution magnetics are an effective tool used for vectoring towards Fe-Ti-V bearing magnetite deposits. 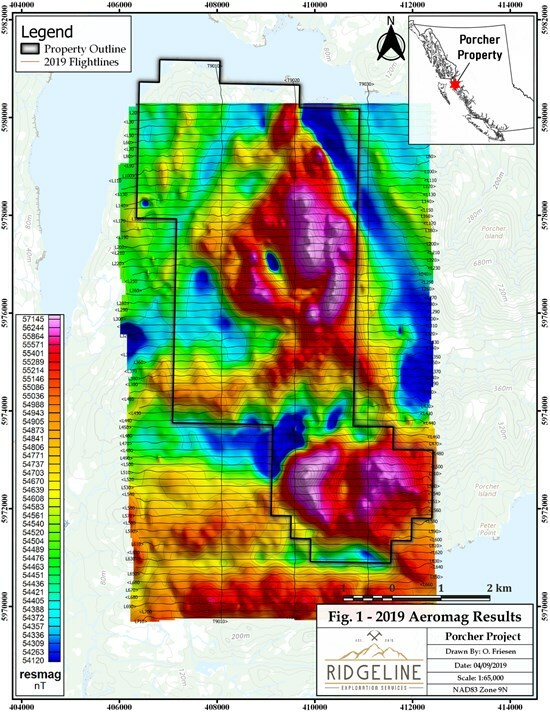 The large anomalies identified by the 2019 surveys combined with historic surface sampling confirming vanadium and titanium mineralization gives us confidence in the potential of these three properties. We are looking forward to returning to the properties in the coming weeks to follow up with a Phase II work program over the magnetic anomalies. This timeline will allow Delrey to conduct a Phase III work program on the properties during the summer months which may include diamond drilling over the highest priority targets developed from the Phase I and II field programs", commented Morgan Good, Delrey's President and Chief Executive Officer. Delrey is a mineral exploration company focused on the acquisition, exploration and development of mineral resource properties, specifically in the strategic energy metals space. 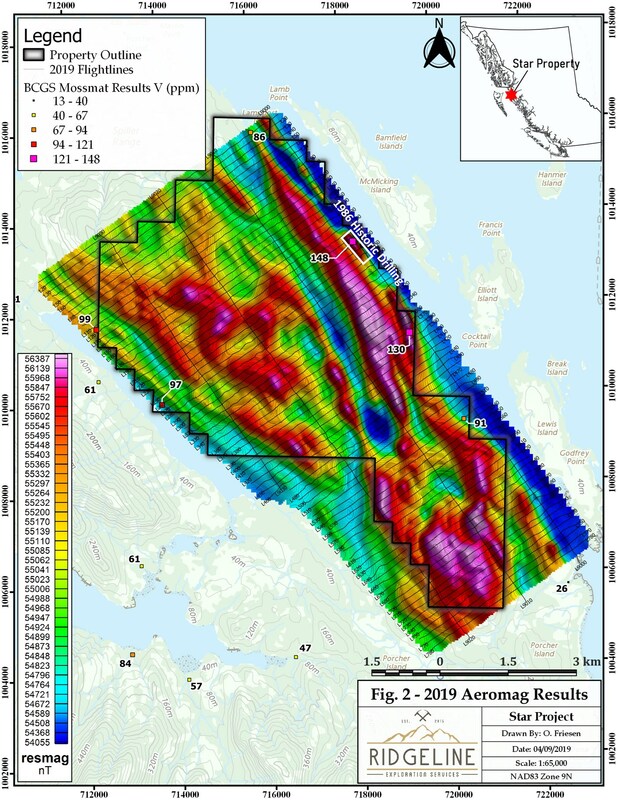 The Company has an option to earn a 100% interest in the Sunset property located in the Vancouver Mining Division near Pemberton, British Columbia. The Company also owns 100% of the Star, Porcher, Peneece and Blackie Fe-Ti-V properties located along tide-water in western British Columbia. Delrey will continue to review and acquire projects showing potential for materials used in the energy storage and electric vehicle markets. The Company is based in Vancouver, British Columbia, and is listed on the CSE under the symbol "DLRY".